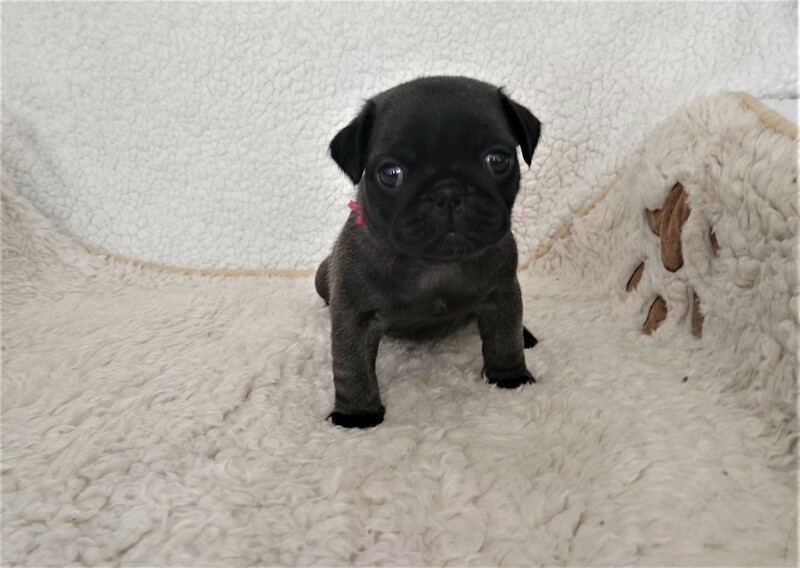 We are very proud to have available an adorable litter of pug puppies with gorgeous colours including platinum which is quite a rare colour for a pug and is quite sought-after. They were born on 1st July 2018 and will be ready to leave on 26th August 2018 . We own mum and dad so will be seen with the puppies when coming to view them. Both mum (White) & dad (Black) are both fully KC registered and come from a 5 generation background. 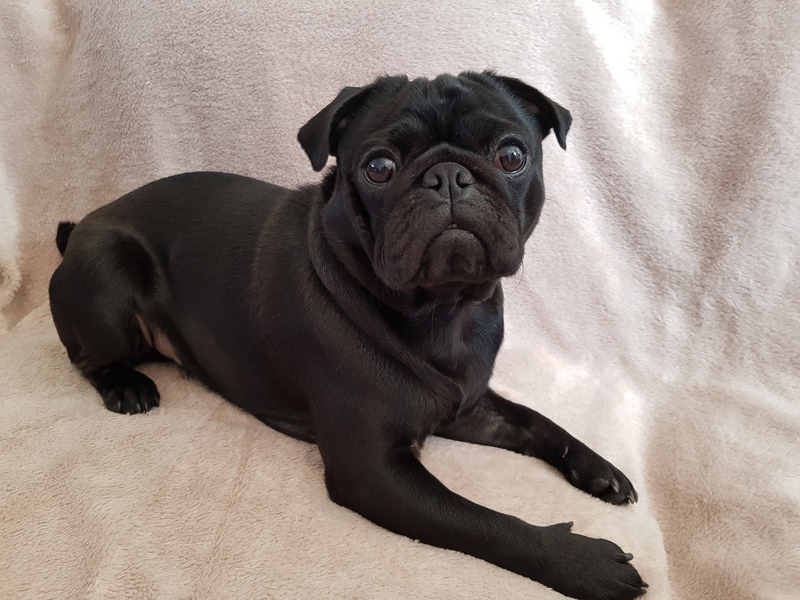 They are both very friendly, loving, have a great temperament and get along with other dogs and animals which will reflect in the pupppies over time. 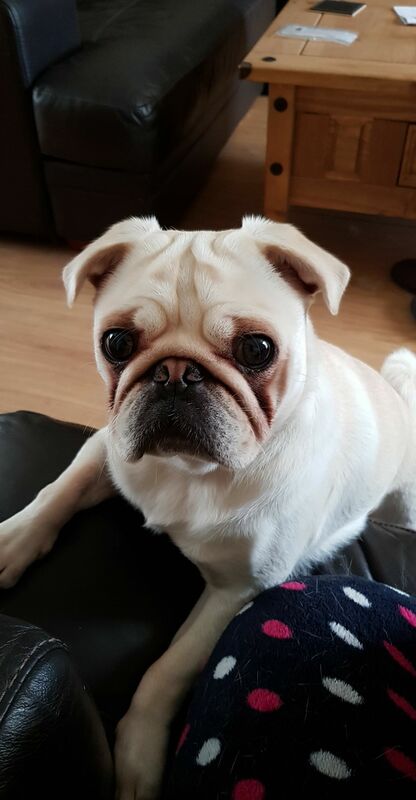 The puppies have been raised in a family with children and other dogs so are used to noise and are well socialised. A deposit of £150 will secure your puppy.